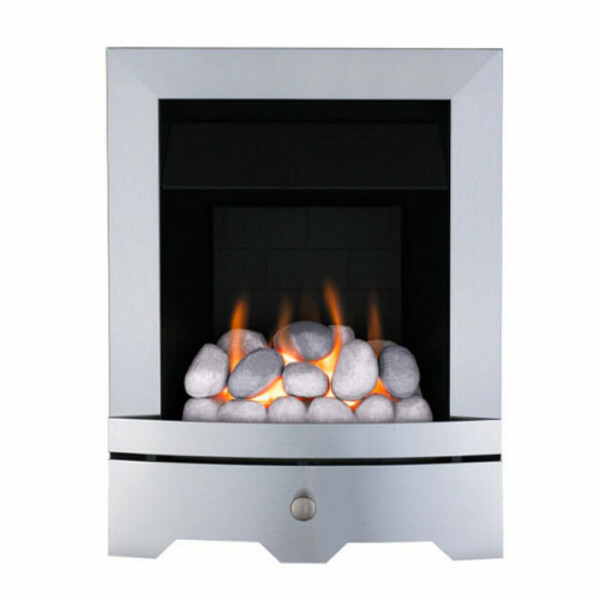 The Valor Seattle Slimline Gas Fire is a modern gas fire in a chrome finish with pebble fuel effect and manual control. 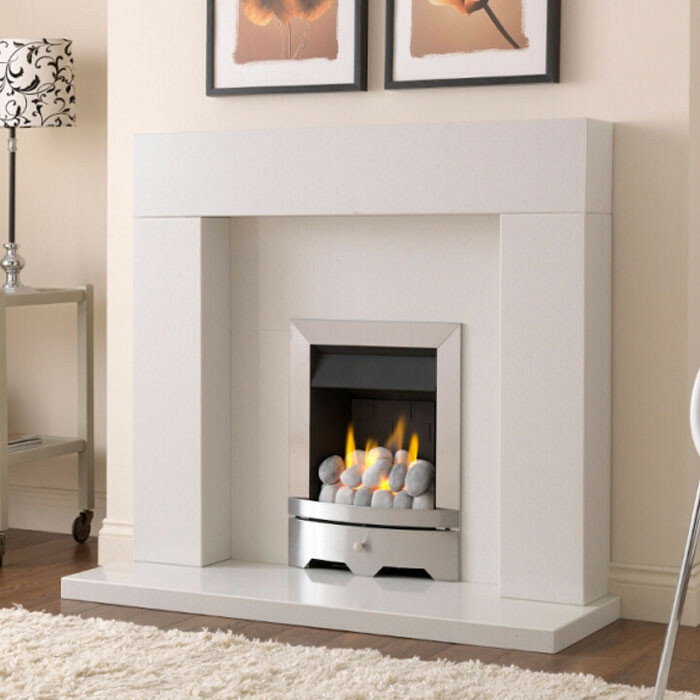 The Seattle slimline gas fire is suitable for Class 1 chimneys, Class 2 chimneys, prefabricated flues and pre-cast flues. The Valor Seattle slimline gas fire has a maximum heat output of 3.1kW and efficiency rating of 57%, with the option of an LPG kit for use in areas not served by a mains gas supply.